The Dining Room at Salish Lodge alongside Snoqualmie Falls has the setting and the prices to match its fine-dining aspirations but needs to forgo the gimmicks and concentrate instead on delivering quality meals. 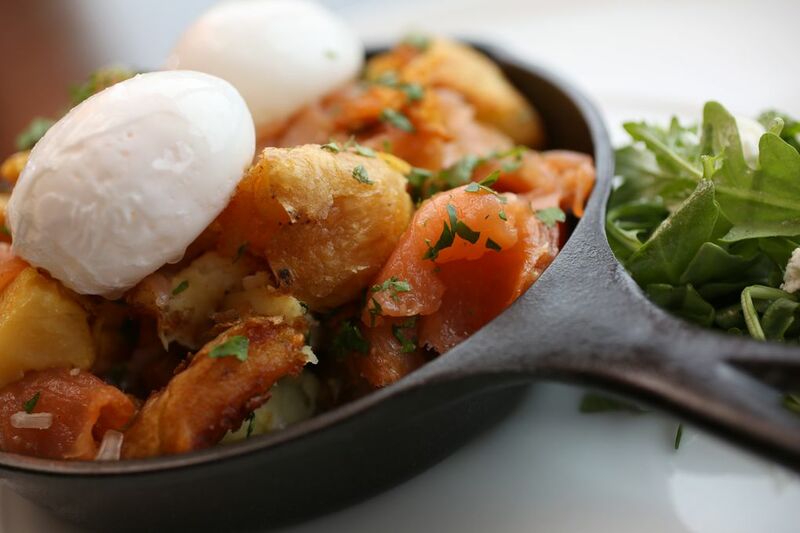 Brunch still satisfies. Starting back in 1916, travelers to and from Seattle would fortify themselves with a hearty meal at a rustic lodge perched above Snoqualmie Falls. After a major overhaul in 1988, Snoqualmie Falls Lodge became the posh Salish Lodge, but locals still went for breakfast, often towing visitors to show off the higher than Niagara falls (not actually visible from the dining room but from an observation deck nearby). 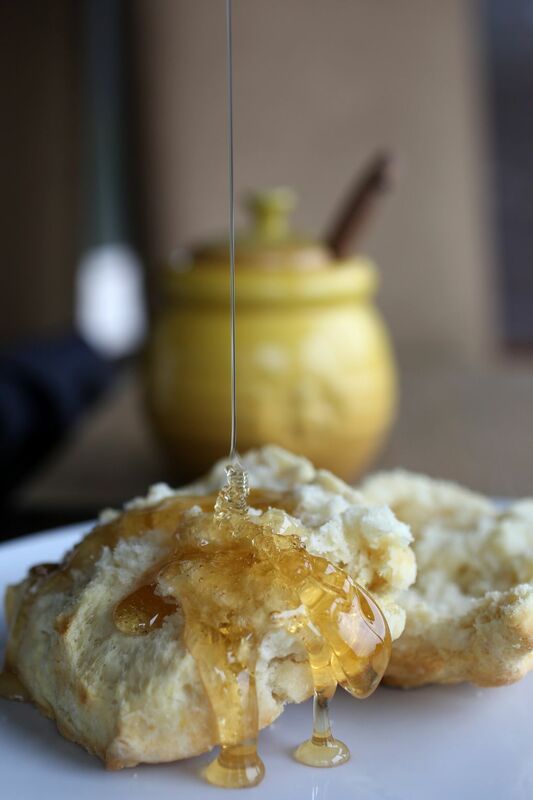 Though many come here today for a honey-and-oatmeal body scrub (the spa was added in 1996), plenty of others still delight in breakfast, where “Honey from Heaven” is poured from on high over fluffy buttermilk biscuits. When The Dining Room at Salish Lodge was last reviewed in these pages in 1992, my predecessor John Hinterberger only addressed breakfast, awarding it 2½ stars. Now called brunch, it doesn’t disappoint — unless you are foolish enough to show up without a reservation, as I did, and face a two-hour wait on a weekday morning. But over the decades, Salish Lodge has aspired to be a dinner destination. Talented chefs have come and gone, among them Roy Breiman, now culinary director at Cedarbrook Lodge, and William Belickis of Mistral Kitchen. The newest, Steven Snook, arrived in May from Sonoma, Calif.’s Kenwood Inn and Spa, another property managed by Columbia Hospitality. Earlier, he cooked for nearly eight years in the Gordon Ramsay restaurant empire. Now he’s in something of a kitchen nightmare. Dinner was adequate at best. Beef tenderloin and Alaskan halibut emerged relatively unscathed. The meat, though black as charcoal on the exterior, was medium-rare inside; its flavor enhanced by 30-day aging and two sauces: velvety bearnaise and robust demi-glace. The fish was expertly seared, but its sauce Choron (a bearnaise variation) was lumpy. Beautiful vegetables completed these compositions: purple potatoes, asparagus and rapini with the beef; tiny sun gold tomatoes with the halibut. A lot of the produce is grown at nearby Camp Korey (for kids with serious medical conditions). A salad of young greens, shaved fennel, flower petals and herbs showed off some of the best. But rhubarb soup was way too tart for its sweet cargo of seared diver scallops; the strip of dried rhubarb on top was as chewy as jerky. A side of baby carrots roasted with honey, lemon and thyme was rubbery. Rubbery was a state too often achieved: by house-cured “duck ham” that embellished a barely dressed beet salad; by lamb loin paired with braised lamb shoulder that looked and tasted like burnt shredded wheat; and by roasted-duck breast whose skin was the color and texture of a Band-Aid. Terrine of foie gras accompanied the duck, but its other companions — puffed wild rice, honey-glazed salsify and fresh strawberries — seemed better suited to a bowl of yogurt. The duck was the nadir of a chef’s tasting menu that started out promisingly with saffron-tinged Dungeness crab salad skirted with summer squash and capped with chopped kombu (kelp). The tasting menu’s dessert was a house-made “Magnum” bar with pistachio ice cream, pistachio sponge and fresh cherries. The chocolate-covered ice-cream bar wasn’t bad. But the sponge was on the side — bite-size dehydrated pieces of cake that were as hard as croutons. Why would you want to dry out cake? Chefs can manipulate food any number of ways. That doesn’t mean they should. The most egregious example of gimmickry was “tableside smoked tofu.” The tofu was actually grilled. It was presented under a smoke-filled glass dome that also enclosed risotto studded with preserved lemon and green peas crowned with a raw egg yolk. The server explained the smoke had been blown underneath the glass just before it was brought to the table. I’m happy to say, it’s no longer on the menu. Too many dishes sound promising but don’t deliver. That would be unfortunate at any price, but at these steep prices, it’s aggravating. Someone primed by a spa treatment and staying the night might shrug this off. My advice to others: Go for breakfast — but make a reservation.